Hailed by the SF Examiner after his San Francisco recital debut as a “virtuoso talent, offering an excellent combination of solid technique and sensitive expressiveness,” pianist Aryo Wicaksono has performed as a featured soloist and chamber musician in venues and festivals throughout the United States, Canada, Asia, and Europe - and was the first Western classical music artist to hold a visiting artist-in-residence position at the American University of Sharjah, United Arab Emirates. Recent highlights include the Prokofiev’s Piano Concerto No. 3 with Indonesia’s Nusantara Symphony Orchestra, under Hikotaro Yazaki; Prokofiev’s Piano Concerto No. 1 with United Arab Emirates Philharmonic Orchestra, under Philipp Maier; Prokofiev’s Piano Concerto No. 1, in a sold-out orchestral debut with Russia’s St. Petersburg State Symphony; Prokofiev’s Piano Concerto No. 3 in Tucson with Civic Orchestra of Tucson; Gershwin’s Rhapsody in Blue with The Queer Urban Orchestra (QUO) of New York under Julie Desbordes; Liszt’s Totentanz S. 126 for piano and orchestra with Surabaya Symphony Orchestra; and a 10-city tour of the U.S. East Coast with Dance Theatre of Harlem. He was recently invited on a panel at the World Bank (Washington DC) to speak to emerging leaders, thinkers, and diplomats about the role and relevance of arts-education in the sustainable 21st century society. He served on the jury for the 2nd Thailand Mozart International Piano Competition (June 2012), and 20th Serbia International Competition for Young Pianists (March 2016). As an educator, his former students have been accepted with full scholarships into prestigious institutions such as the Curtis Institute of Music, New England Conservatory, Peabody Conservatory - Johns Hopkins University, Yong-Siew Toh Conservatory in Singapore, and University of British Columbia Vancouver. As a US State Department Artist Grant Recipient, he performed concerts – masterclasses – lectures in four cities in Serbia (Belgrade, Novi Sad, Sremska Mitrovica, and Sabac), in collaboration with Multikultivator Serbia and various conservatories. 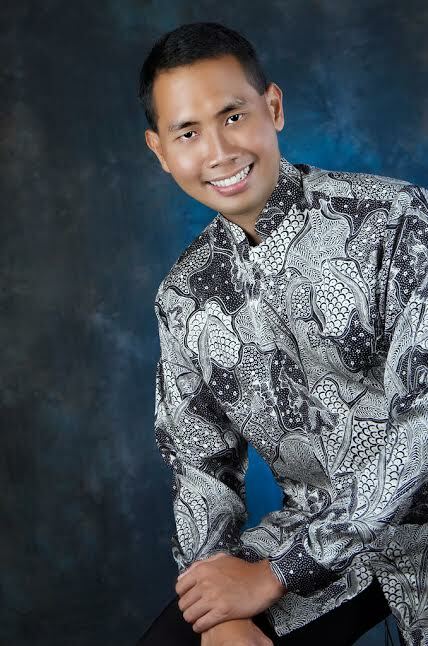 An active community advocate, he served as a board member of the Indonesian Diaspora Tri-State Chapter and on the board of the Art of Giving Back organization. As musical director and pianist for the William Finn’s musical Elegies–Looking Up, Wicaksono won the Arizona Daily Star’s 2006 MAC Award for Best Musical Performance and the Tucson Weekly’s Best Musical in Tucson for 2006-2007 season. As a composer, Wicaksono created scores for the independent Japanese film short Dream of an Hour. He was pianist-composer in residence for the American Academy of Ballet School in July 2011, and some of his music was set into a ballet for the San Francisco-based Teatro Jaguar Luna. Mr. Wicaksono has been featured in full-length profile articles and TV features by publications such as the Jakarta Post, Arizona Daily Star, IndoGo Magazine, Kabari Magazine, San Francisco Examiner, and UAE Gulf News, National Public Media, Arizona KUAT Radio/TV, among others. A grateful and thankful graduate of the Colburn School and the University of Arizona Fred Fox School of Music and Dance, he recently received the 2016-2017 Honors Excellence in the Arts Award and is a 2017 New York Community Trust Fellow. He is currently the Membership Manager for Chamber Music America, the national network for small ensemble music professionals.